Donald Trump was not the first thing I had associated with the physiology of my thoughts, although I guess I have had some pretty strong ones about him over the last year. 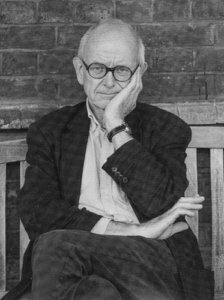 Yet the second speaker in the Inspiring People lecture series, Henry Marsh, immediately began by examining the impact of our socio-cultural environments, including political figures such as Trump, on the brain’s make-up. One such example was Nicolae Ceausescu who, amongst other atrocities, created an orphanage epidemic across Romania. The children who lived in these deprived institutions were subjected to a worldwide adoption campaign once the dictator was overthrown and many went on to grow up in extremely caring and functional homes. Henry discussed the lifelong impact of the children’s original environments on the structure and development of their brains by showing us the evidence of several studies. It was clear that the effect was detrimental and that in order for us to create a functioning and progressive society we need to raise our children in loving and interactive environments. However he argued that the latest ‘tiger mum craze’ may have taken this hypothesis too far! His discussion then progressed to consider the electrochemical signals that create our emotions. Although we cannot apprehend it, every single thought and movement we have is caused and created by electrochemical processes. All these minute networks mean that the brain is arguably the most complex organ in the body – and yet we still know very little about it. Therefore, when Dr Marsh treats a patient he has to consider the role of many factors in the patient’s post-operative quality of life and this leaves a considerable margin for error. The tools that he and his colleagues use may only be 2mm wide but as the brain is made up of 100 billion minute cells they can still cause a lot of damage. My favourite line of the whole lecture was: “Medicine is made up of uncertainty”, a refreshing insight that contradicts the more common portrayal of the medical profession. Mistakes are not only commonplace, suggested Henry, but are vital for progression and self-development. He claimed that success is actually rather bad for you as you make no improvement but simply allow yourself to become complacent. Henry Marsh was incredibly honest, making his talk far more human and relatable than the majority of scientific lectures I have attended. He was incredibly inspiring, and certainty gave us all a great deal to think about. Inspiring People is a joint venture between the School and The North Wall. By Molly van der Heiden, Sixth Former and MedSoc member.